Hiring managers really are not out to get you. When you consider all of the possible interview questions and answers they could ask, the ones you most often get aren't really that bad. The reason most people think employers ask tough interview questions is because they simply aren't prepared to give the right answers. To make your life easier (and to give hiring managers a better reputation), here are some basic interview questions and answers to help you prepare for your next job interview. Question #1 - Tell me about yourself. Answer - This is an open-ended opportunity for you to sell yourself. Share the traits that you believe are most expected for someone in the position you are seeking. Do this in the framework of highlighting a few of your accomplishments, educational background and work experience. Question #2 - Why do you want to work here? Answer - The key to answering this question is in having researched the company prior to the job interview. Point to some of the most favorable aspects of the company's profile and then to your desire to work for a company with such a renowned product, great work atmosphere, or whatever you believe best fits your interests. Question #3 - What did like and/or dislike about your past job? Answer - First and foremost, do not be critical of your past job, supervisor or employer. The hiring manager is interested in finding out if you will be a good fit for their organization and anything you say could tip him/her off that you could be a poor fit. Focus on what you wanted to do in your past job to help the company but were unable to do so (but not through any fault of the employer). For instance, you may have wanted to take a product global, but the barriers for importing to some of the best countries was simply beyond the company's financial reach at that time. Question #4 - What interests you most about the position we have open? Answer - This is a great chance to match your qualifications to those of the job for which you are interviewing. If you don't have a firm grasp on the responsibilities of the position, ask the interviewer to provide more details. Then you can address them specifically. Identify your particular skills and experience in terms of how they will contribute to the results expected for the position. Question #5 - What is your greatest strength? Answer - All employers are looking for the same basic things in an employee: problem-solving skills, taking initiative, having the right skills, and being reliable. Oh, there are others, too, but these are the basic ones. If you can answer this question in a way that addresses any or all of these traits, then you will be ahead of most other candidates for this position. Question #6 - Why should I hire you? Answer - This answer give you an opportunity to do two things: sell yourself via your qualifications and your personal traits. Matching your skills to the job is again a key here. Don't repeat yourself, but rather focus on things you haven't already mentioned. The personal traits that you should identify are those which lead to success, such as: determination, desire to succeed, team player and interest in accepting challenges. Question #7 - What is your biggest accomplishment to date? Answer - Keep it short and don't exaggerate. Tell a story to illustrate your best traits, such as: willingness to get the job done no matter how long it takes, desire to work hard, attention to detail or solve a big problem. In the world of interview questions and answers, this is one where you have the most latitude to be boastful. Question #8 - How was your work rated at your last job? Answer - If you have a written evaluation (and it is positive), produce it. If you don't have anything in writing, share a story that relates how your boss commended your work. Try to relate that story to something relevant at the new company where you hope to be working. Again, matching what you have done to what you will be done is key. Question #9 - What do you think of your last boss (current boss)? Answer - Never, ever say anything negative about your current and/or former boss. Respond to this interview question with an answer that commends an aspect of your former boss's skills. Question #10 - Can you work under pressure? Answer - The easiest thing to do would be to answer this question with a simple "yes". You can accomplish a lot more by telling the interviewer how well you handle pressure. Use a story to illustrate if it fits the situation. Otherwise, just explain how you plan your work to avoid high-stress situations, but that you understand they sometimes happen. When they do, you prioritize your work and accept the challenge. 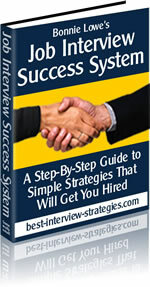 Interview questions and answers will differ based on each set of circumstances. Those shown above are great guidelines to help you prepare for your next job interview. Give yourself the best chance of succeeding by rehearsing your answers (not memorizing them). You'll come across as polished and sincere – and you'll be leaps and bounds ahead of your competition.